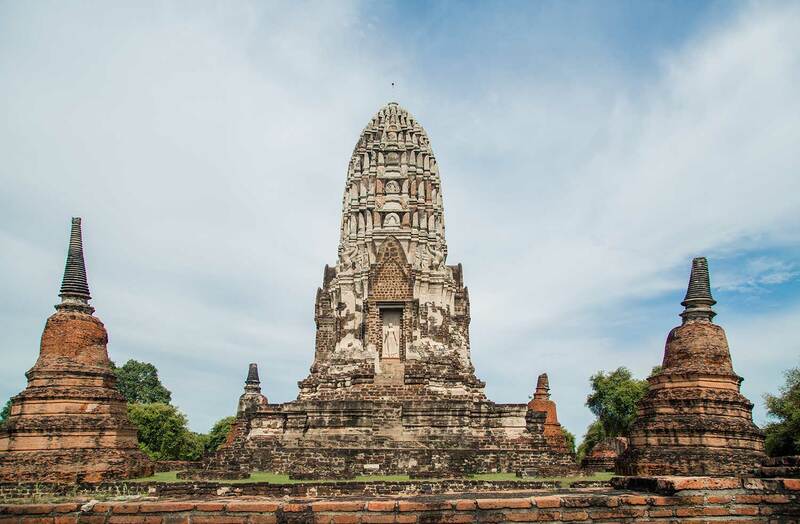 About 80 kilometers north of Bangkok, lies the city of Ayutthaya. 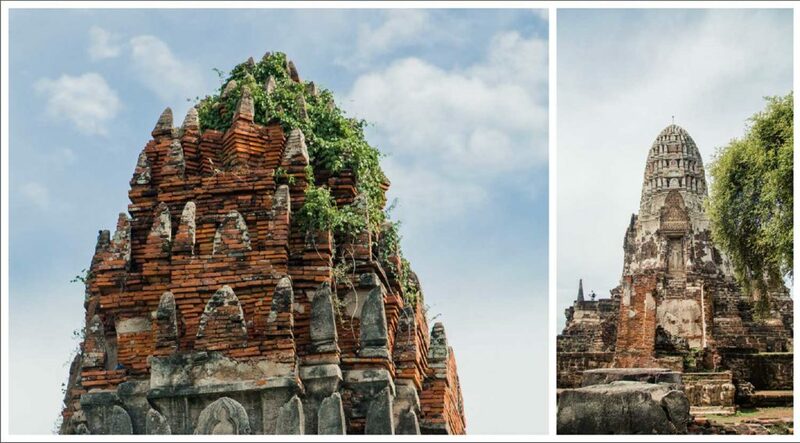 This is the original capitol of Thailand (previously known as Siam), and houses a number of ruins throughout the city in various stages of decline. 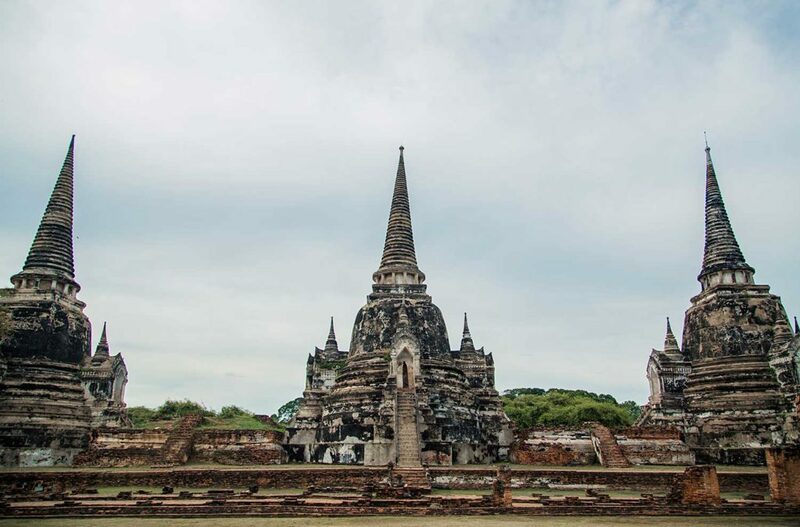 Ayutthaya was destroyed by the Burmese in 1765 who raided and looted the majority of the Wats of anything of value. But even what remains of Ayutthaya is impressive. It is a great 1 or 2 day trip if you are staying in Bangkok, and can offer a break from the hustle. 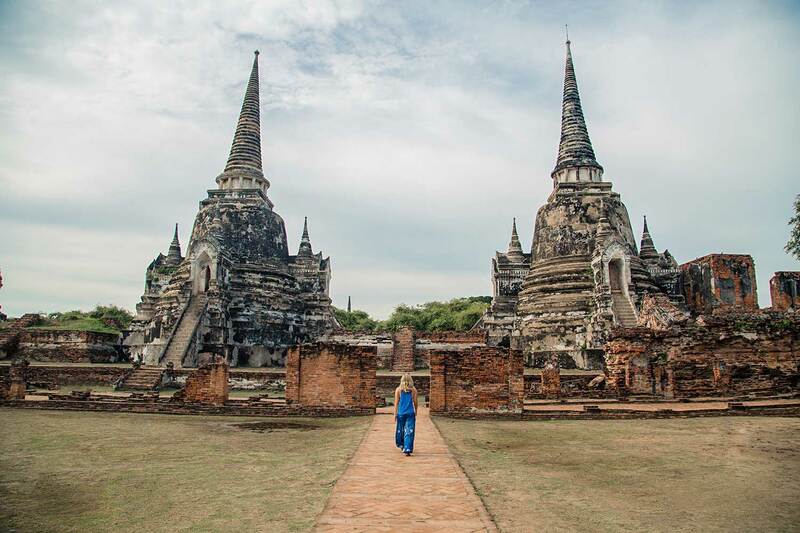 There are so many options when it comes to visiting Ayutthaya. 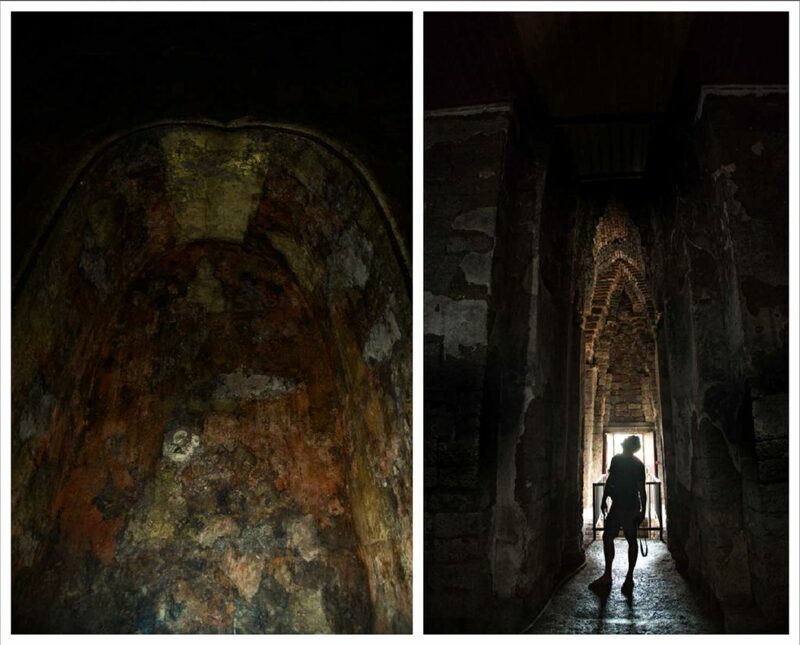 Several tour companies offer full day tours that start at about 600 baht and include transportation and lunch. Since Jason and I are on more of a budget, (even though $18 a person is not bad at all) we decided to try to make our own way there. 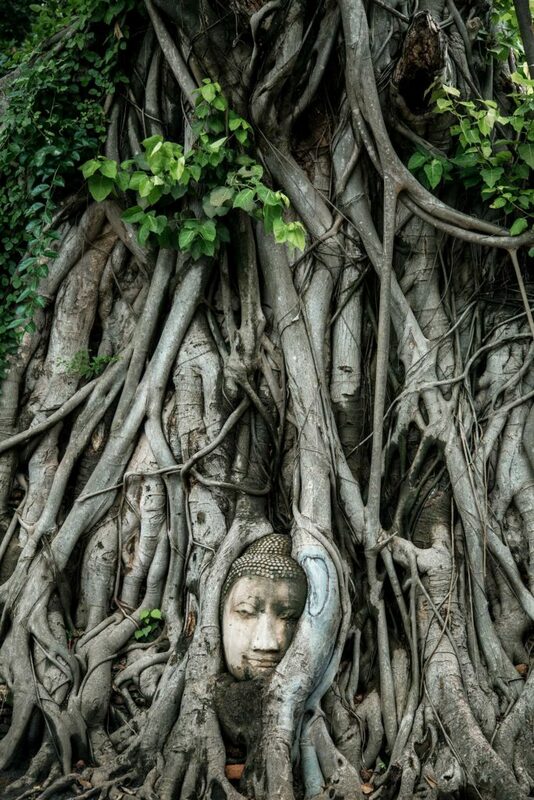 A Buddha Statue in Ayuttaya is overgrown by a Banyon Tree. 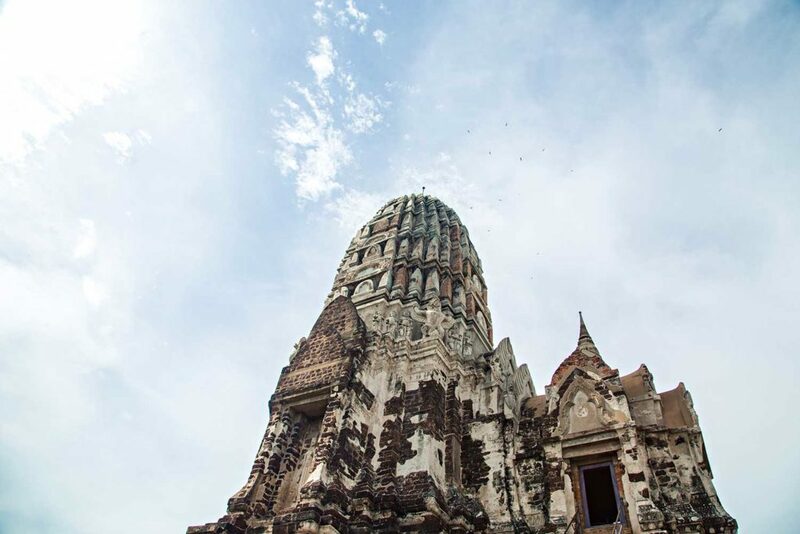 Now, getting to / from and around Ayutthaya from Bangkok on your own is not too complicated, as long as you are equipped with the right information and a really really good map. The reason I am writing this blog is because many of the guidebooks and online forums information was outdated, and we ended up wasting half our day on unnecessary transportation. We weren’t the only ones either. We ended up very confused on a bus with several other backpackers, getting yelled at in Thai by the bus attendant every time we tried to de-board. Bless her heart, she WAS trying to actually HELP us get to the right place, and thanks to her, we finally did. Anyway, the bottom line is that they just changed where to meet for the minivans, so so as of August, 2017, this information is up to date. Your most valuable tool to getting around Thailand yourself is a great map ap. Jason and I have been using the Maps.me app and we love it. It may have taken us down a dead end road a time or two, but generally speaking it’s great. I even like it over google maps. It has restaurants, and lodging, Wats, and Museums, you name it. You are able to search just about anywhere you need to go and Maps.me will get you there without using data or internet. Jason and I downloaded all of the relevant maps we needed for our travel using the Maps.me app on our iphones before we took off. Look! Its here on the Maps.Me app! The two main ways to get to Ayutthaya are train, and mini-van. We heard that the trains were slower, and often packed during rush hours, so we decided to take the mini-van. Many websites and guidebooks online will tell you that the best place to grab a mini-van is Victory Monument. Don’t do this. This is wrong and outdated information. If you want a mini-van you now have to go to the Mo-Chit 2 Station which can best be accessed by taxi or through the sky train. If you get to Mo-Chit I have been told there is a free-ride that can take you to Mo-Chit 2 which is on the other side of the park. 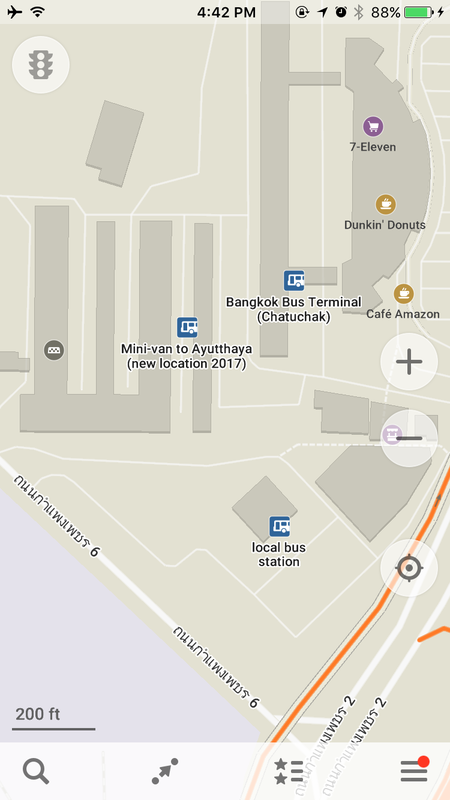 If you have the Maps.me app you can actually just search “Mini-van to Ayutthaya” and it pops up. Had I know that, I would have saved myself 3 hours of frustration. Live and learn! 600 year old murals, and “frickin” bats lie within Wat Rachaburana. All of the Mini-Vans charge 60 baht per person each way. 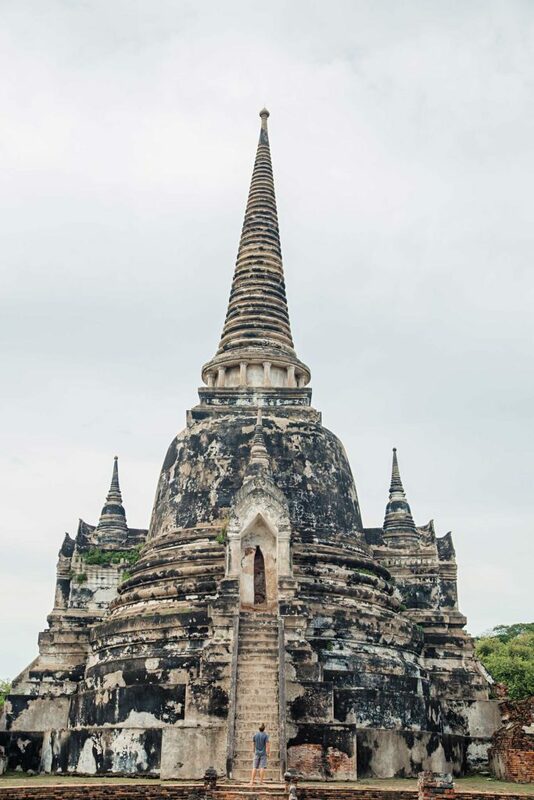 The drivers do stop periodically to grab or drop their fares, but on average it takes around 1 – 1 ½ hours to get to Ayutthaya. Once there you will be dropped off in the city, and most likely among a herd of tuk-tuk drivers. If you want to hire a tuk-tuk driver, you are welcome to. A decent fare is about 200 baht an hour. For us this seemed like a waste of money since we would probably spend an hour or so at each Wat, and therefore basically paying for someone to sit and wait for you seemed silly. If you are pressed for time and have a long list of thing you want to see, a tuk tuk might be a great option. Just be sure to let your tuk-tuk driver know where you want to go as they seem to want to take you to where might be the most economical for them. If you ignore the tuk-tuks, head west for a couple of blocks you will find yourself in the heart of the old city. This is a great place to rent a bicycle for the day for 50 baht, or you can just walk on foot between the Wats. Many of the Wats are in very close proximity to each other. What Phra Mahathat and Wat Rachaburana, two beautiful Wats, are right across the street from one another. On the far end of the Park are Wat Phra Si Sanphet and What Phra Ram. All of these Wats are incredibly close, and some of the more interesting Wats to check out. Most Wats charge an entrance fee of 50 baht to go inside. You also have the option of paying 220 baht to gain entrance to 6 of the main Wats. 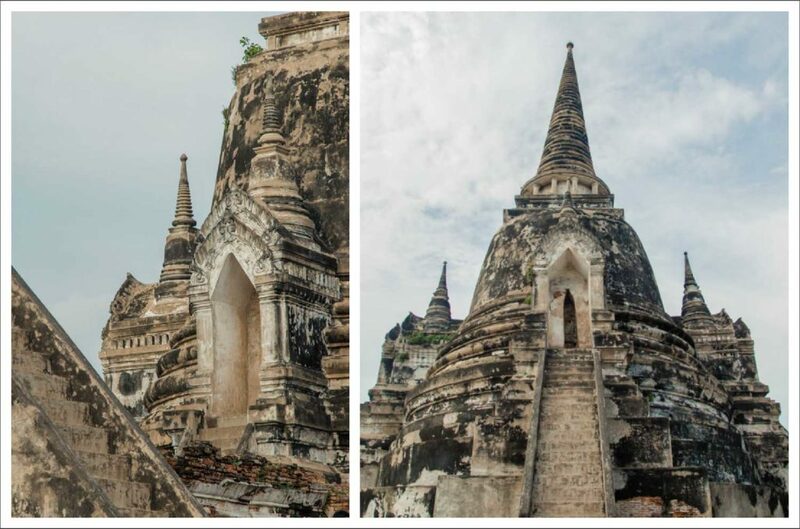 Since we got to Ayutthaya a little late in the day, we were only able to view a few of the Wats. 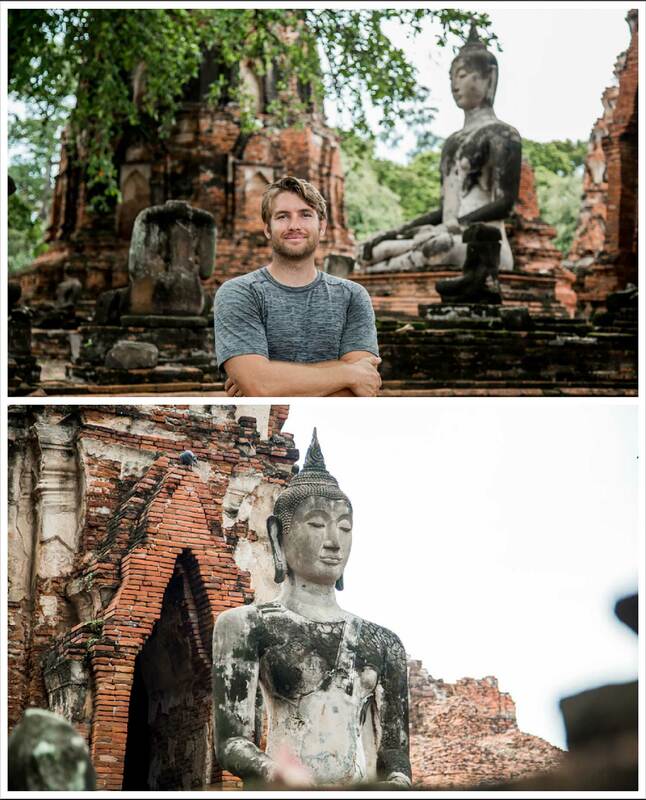 If I were to do it again I would recommend spending a night in Ayutthaya and taking 2 days to cruise at your leisure. Getting back to Bangkok, there are several mini-van stops marked on the Maps.Me app. The last minivan back leaves at 6pm, so be sure you don’t miss your ride. 0 Comments on "Travel Tips / Getting to Ayutthaya"